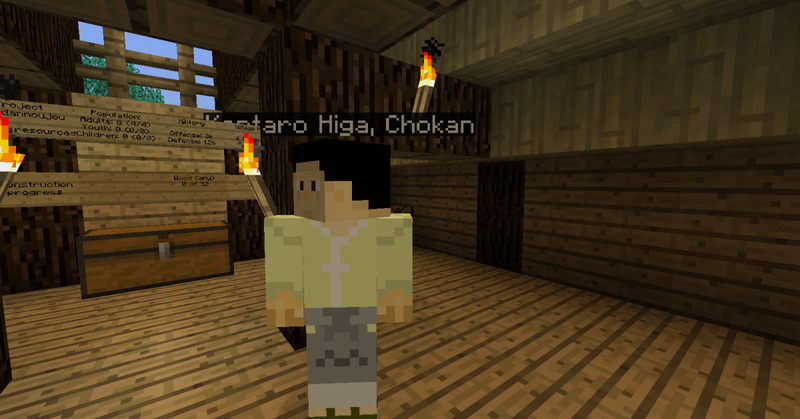 In Minecraft, a village is a group of buildings lived in by NPC (non-player character) villagers. 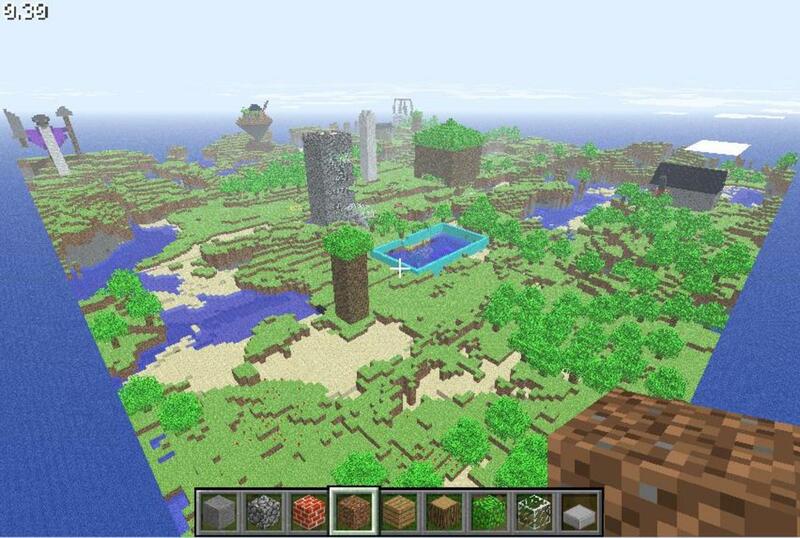 Villagers spawn into your Minecraft world naturally in existing NPC villages in plains and desert biomes. 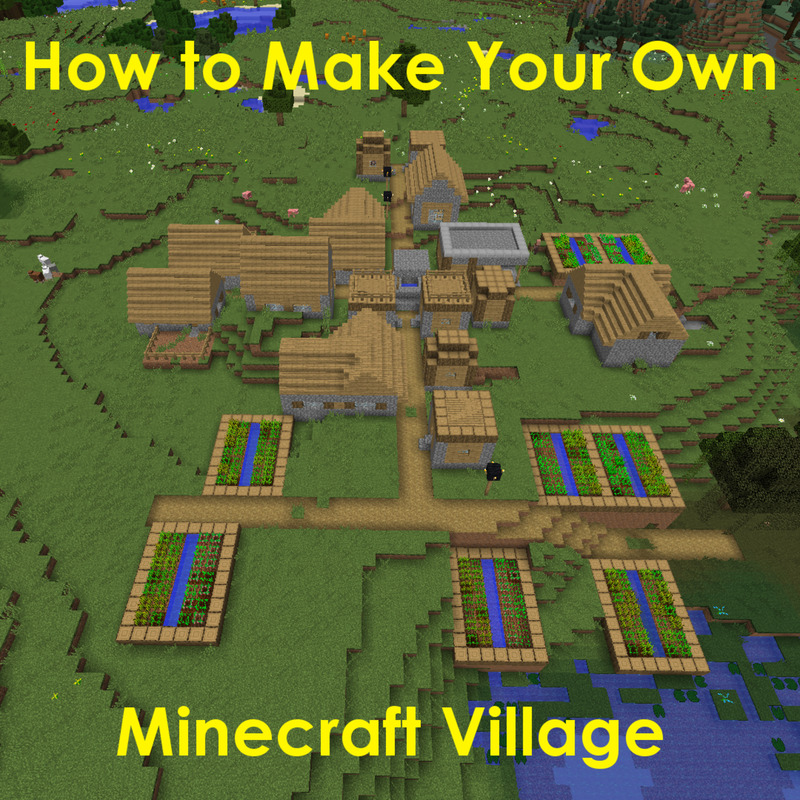 As an alternative, players can make their own villages from scratch; the more houses a village has, the more villagers that are likely to spawn into the village and breed. For every 16 adult villagers, an iron golem will spawn to help protect the village against hostile mobs like zombies. And zombies are a villager’s worst nightmare. Zombies are hostile mobs that spawn in dark or dimly lit areas, such as caves or outdoors during the night. They are slow moving, but have the ability to “call” other zombies to their aid and form a potentially dangerous mob. Zombies even have the chance to spawn with armor or weapons, making them harder to defeat. Killed zombies drop rotten flesh, which can be eaten by the player but almost always cause food poisoning. Tamed wolves can be fed rotten flesh without getting sick, however. Most importantly, zombies have the ability to turn villagers into “zombie villagers” by attacking them; there is a 100% chance a zombie will turn a villager in Hard difficulty, a 50% chance in Normal difficulty and no chance in Easy difficulty. Like zombies, zombie villagers will burn in sunlight (unless they are baby villagers); the entire population of a village can be destroyed overnight if villagers do not have proper housing or protection. Zombie-proofing your Minecraft village pays off in the long run and is much easier than you think! While you could easily fend off zombies yourself with a sword and armor once the sun goes down, having to defend your village night after night takes time and materials. It’s easy to get overrun by a mob of zombies when you are alone, especially on Hard difficulty or without decent gear or weapons. By taking a few preventative actions, you can protect your village from zombies and other hostile mobs. It never hurts to be prepared! Torches are blocks that emit light and are simple and affordable to craft. 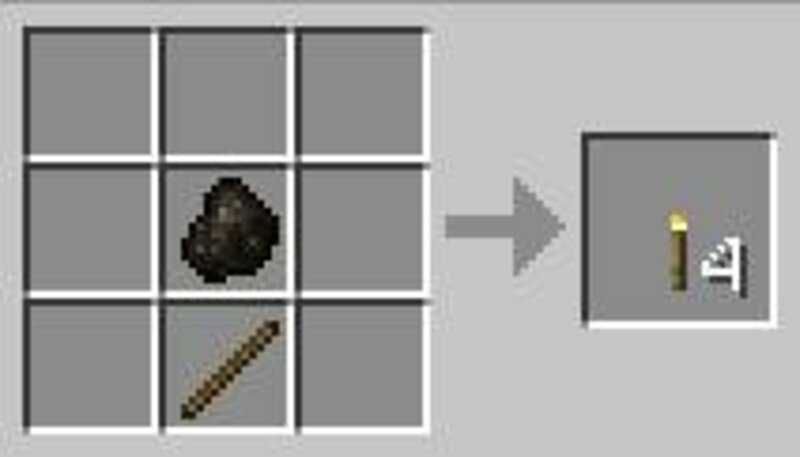 One stick and one piece of coal (or charcoal) in the crafting table makes four torches! Why bother with torches? 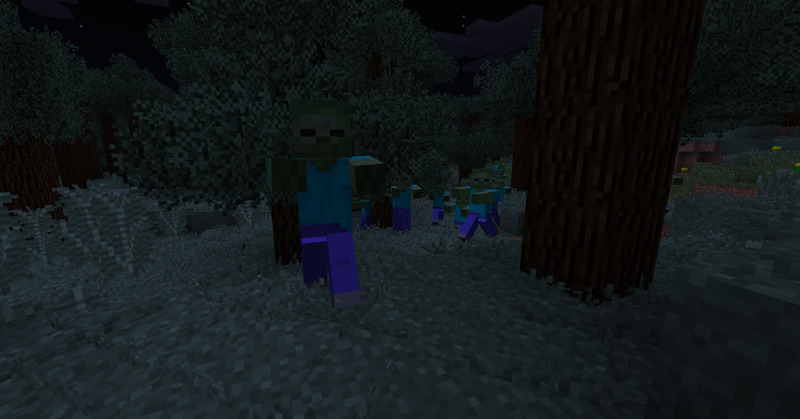 Hostile mobs cannot spawn in daylight; having a constant light source around your village prevents monsters from spawning once darkness falls. Less zombies spawning around your village means less danger to your villagers. Glowstone blocks also emit light, but can only be obtained in the Nether. Using torches is the most cost-effective and low-resource solution to keeping hostile mobs at bay. Just because hostile mobs cannot spawn around light sources doesn’t mean that they cannot pass through them; while torches and other light blocks prevent monsters from spawning in a small radius, they do not repel mobs that have already spawned in the world. Zombies only burn in daylight and can easily venture inside your well-lit village. 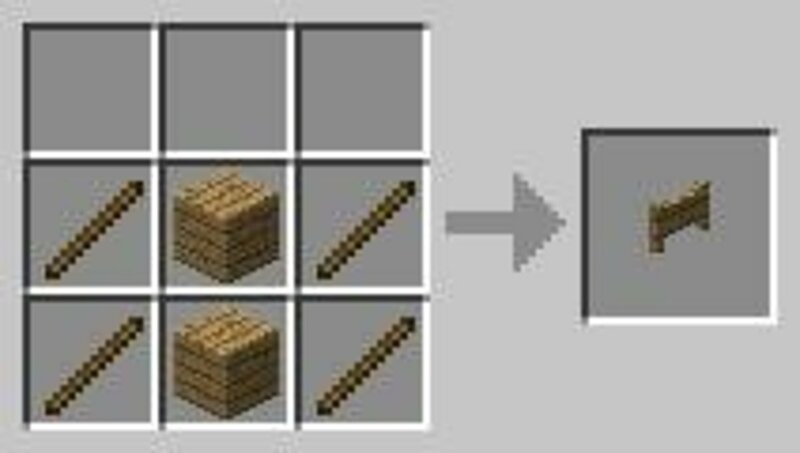 Building a wood fence or cobblestone wall around the border of your village will keep zombies out and defenseless villagers in. It is up to you how simple or elaborate your barrier is, as long as it can keep out unwanted monsters. 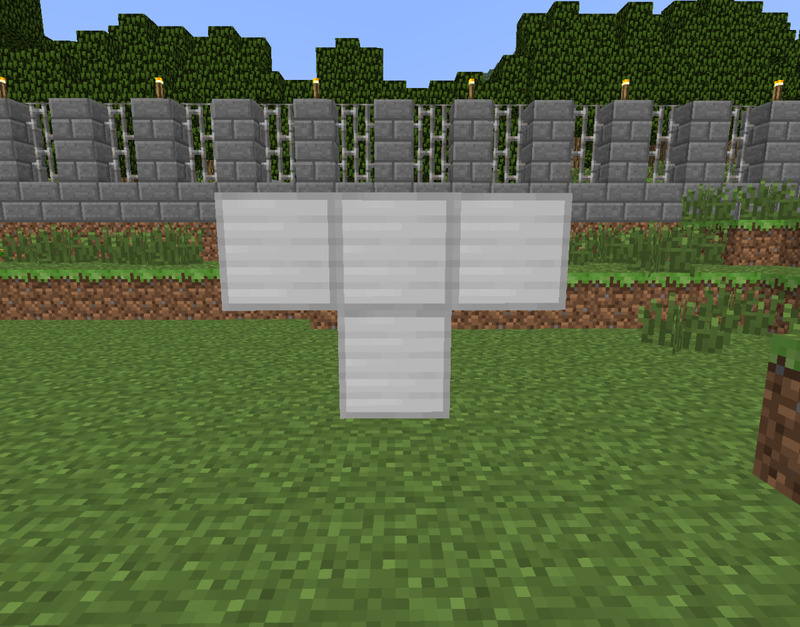 Iron golems will spawn naturally in villages that have least ten villagers and and twenty-one houses; however, iron golems can also be crafted with four iron blocks placed on the ground in the shape of a “T” and a pumpkin on top. Iron golems serve the purpose of protecting villagers and will kill any hostile mob within range of your villagers. They are incredibly powerful and can take down a zombie with a couple of hits. If you hit a villager, they’ll even attack you! Surround your village with a tall fence to prevent your iron golems from wandering off, as this happens often. Having iron golems patrol the village after nightfall will help keep the zombies at bay. To tame a wolf, feed it bones by right-clicking the wolf with the bones in hand. It may take up to 12 bones to tame a wild wolf. The wolf will stop taking bones once tamed. To tame an ocelot, attract it by holding raw fish and waiting - don't chase it! After the ocelot approaches you, feed it the raw fish. It may take up to 20 raw fish to tame an ocelot. What is your least favorite mob? Iron golems are loyal to villagers, while tamed wolves and ocelots are loyal to the player. 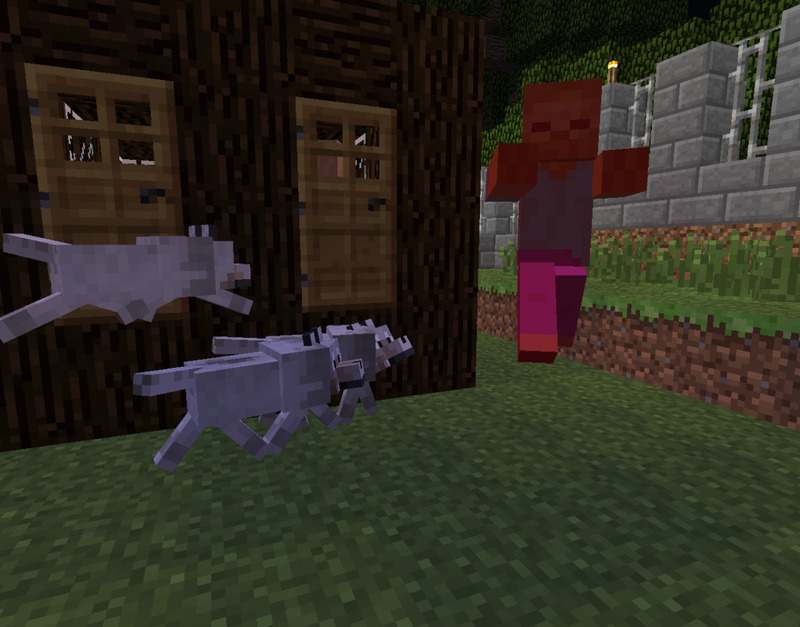 Tamed wolves will follow the player and attack mobs that the player attacks or is attacked by. 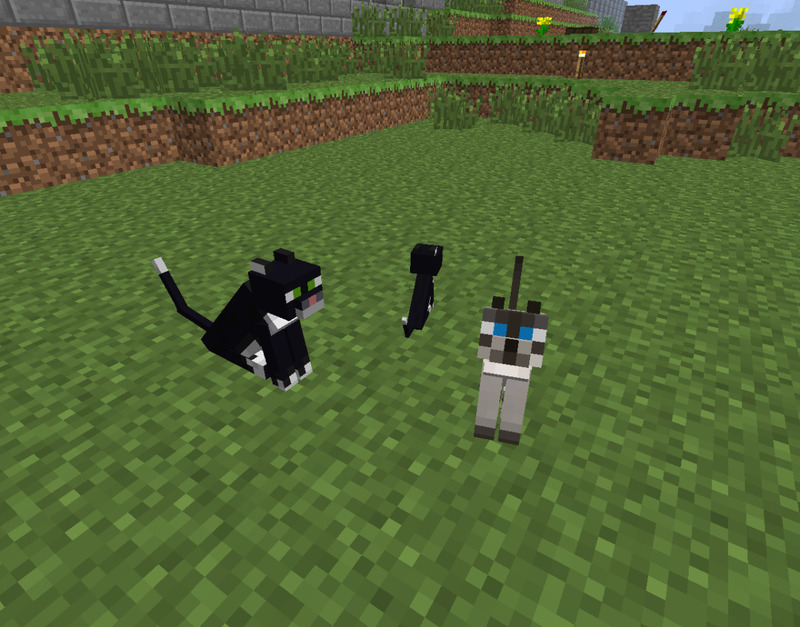 Tamed ocelots will also follow players, but they do not attack hostile mobs; instead, their presence repels creepers. Both wolves and ocelots can be commanded to sit by right-clicking on them; strategically placing ocelots around your village can keep away creepers, while having a pack of wolves can help defend against zombies. Using pets to your advantage can help zombie-proof your village and keep you company, too! Zombie-proofing your village goes a long way to keeping zombies and other hostile mobs away from your villagers. However, suppose some zombies get inside and go unnoticed by your iron golem, or turn a few loose villagers; are your houses prepared? One zombie breaking into a house full of villagers spells disaster for any village. On Hard difficulty, zombies can break down wooden doors if they attack them long enough. Sometimes just putting a door on a house isn’t enough. 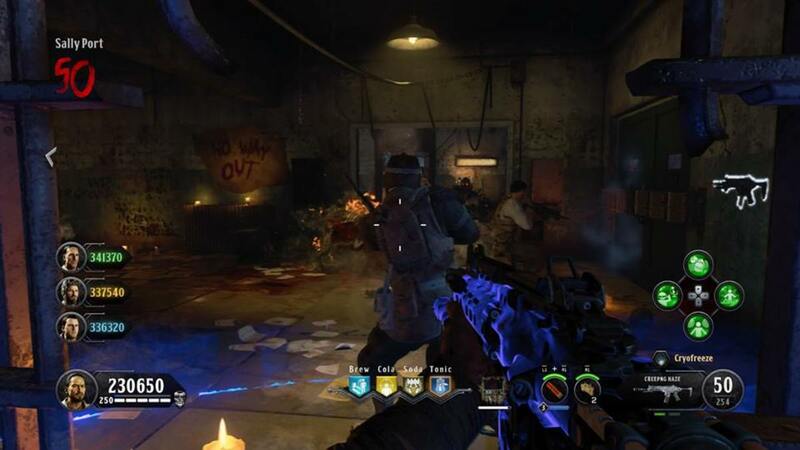 On Hard difficulty, zombies have the ability to break down wooden doors. 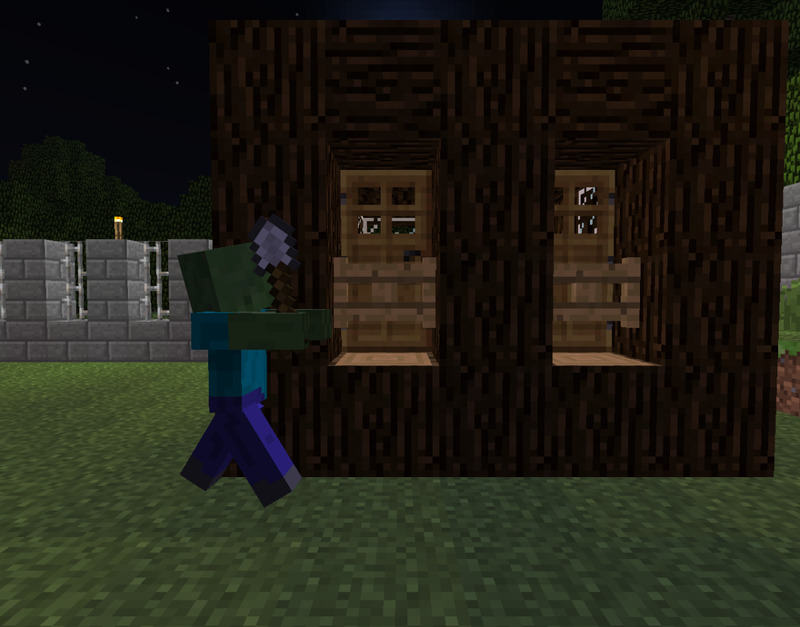 This means that zombies can destroy the doors on your villager’s houses and turn (or kill) your villagers. Thankfully, there are some loopholes to dealing with door-busting zombies. One trick is to place the wooden door so that when it appears to be closed, it is actually “open”. Place the wooden door on the right side of the doorway so that it appears to be opened; when you close the door, zombies will recognize it as open and be unable to break it. You may need to break the blocks next to your doorway to properly position the door this way. The only problem I had with this trick was that my villagers kept leaving the house, even when the zombies were knocking! While clever, this is not the best method for dealing with zombies at night. If placing your wooden doors on backwards is too complicated or faulty for you, try using fence gates instead. Fence gates are ideal for added protection because zombies cannot open them. Other hostile mobs, such as skeletons and creepers, cannot open fence gates either. The downside to this hack is that villagers can no longer open fence gates. However, fence gates are a great way to keep villagers permanently inside their homes. This is a great way to keep track of villagers that are offering different items for trade. You would never have to worry about villagers wandering outdoors at night, potentially solving all of your zombie problems! If fence gates are too limiting, you can try placing your wooden doors out of reach of zombies! Try raising houses one block above ground level so that villagers need to access them by jumping up; you cannot have stairs in front of the door. Villagers have no problem entering and exiting houses this way, but zombies are met with a dilemma: because they have to jump up and down to reach the door, they cannot consistently break it down. 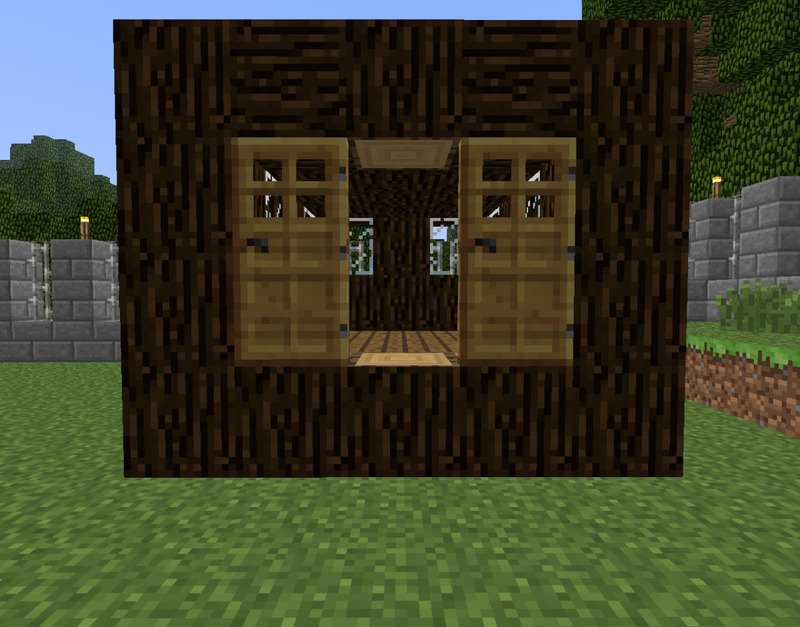 Be careful: villagers standing right next to the door can still be turned by zombies on the other side of the door. Keeping your village well-lit, fenced in and patrolled by iron golems is a sure way to keep out the undead. Zombie-proofing your village’s homes with fence gates or raised wooden doors will keep zombies out of your houses and prevent your villagers from being killed or turned. Try testing new ideas and builds to further protect your village from the walking dead. If you have any more zombie-proofing plans, let me know in the comment section below! Test Your Knowledge! What Did You Learn? I found a village in my Minecraft world, and it had a library but no librarian. How would I get one? You can breed villagers by either trading with them to make them "willing" (or giving them certain amounts of food, like 12 carrots). However, the outcome is random; you would have to continue breeding them until a librarian shows up. I built a mansion in Minecraft, but when I came back from mining it was full of zombies. What should I do? 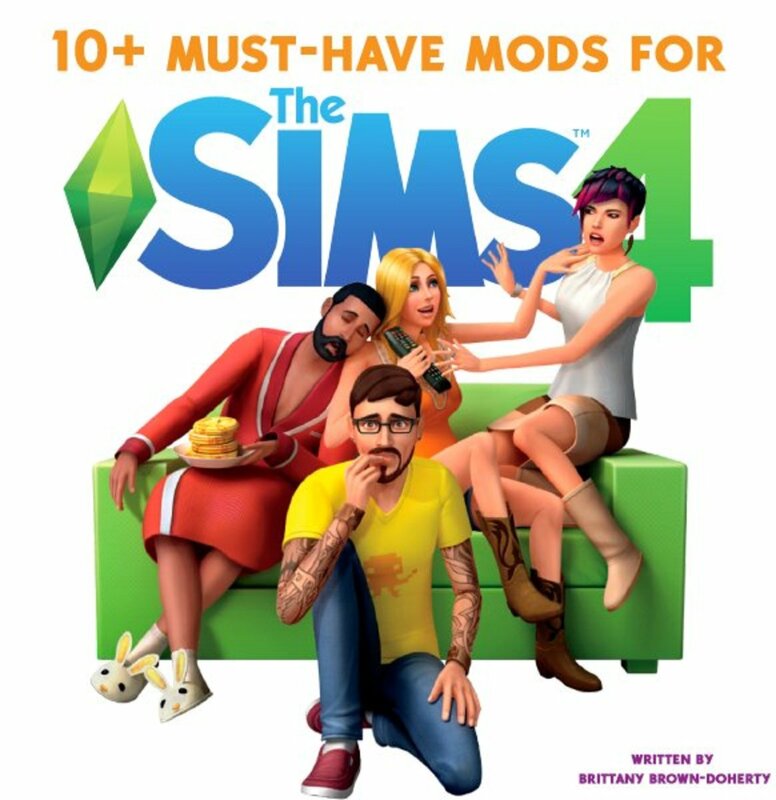 First, you'll need to kill the zombies and clear out your mansion. Then there's the lighting. Did you light up the mansion? Certain mobs can even spawn in low light, so try to space torches six to eight blocks apart. There are also some mods that let you see, based on a visible grid, where you need to place torches to prevent a mob from spawning. 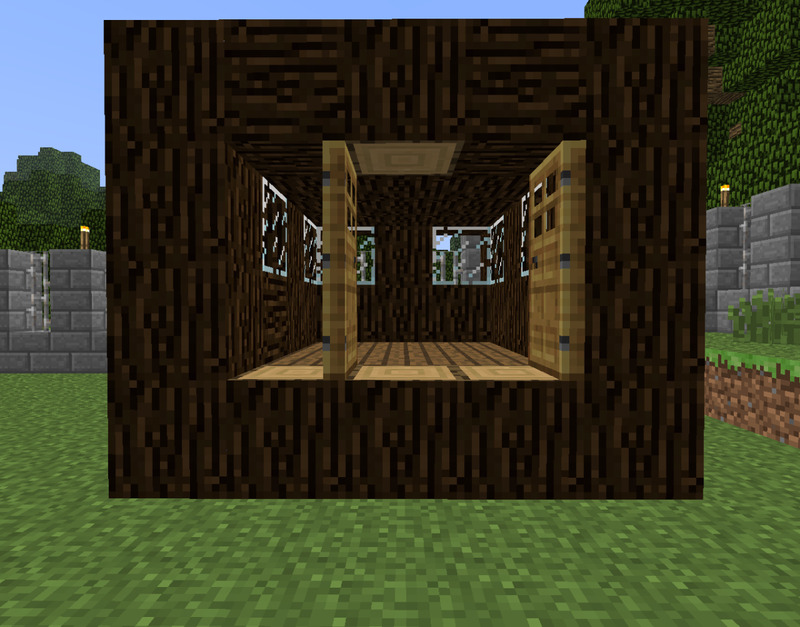 In Minecraft, if I build a wooden wall with an overhang to keep out spider and ocelots to stop creepers for blowing up the wall, is it mob proof enough to protect the villagers? The overhang sounds like a great idea for spiders - good thinking. And tamed ocelots do help keep creepers away. As long as the inside of your wall and village is completely lit up, nothing should be able to spawn inside. I saw a baby zombie riding an adult zombie, and it was chasing me. What should I do? You should run or be prepared to kill both the adult and the baby zombie. Watch out if there are other mobs nearby when you do--the baby might hop onto another mob. In Minecraft, can baby zombie villagers spawn riding chickens; like regular zombies? Yes, they can! It's still very rare though. It's a 5% chance if there is a chicken within a certain radius where they spawn. While playing Minecraft, how can I protect my village from other monsters, like creepers and skeletons? Creepers don't die in sunlight, so they would just destroy my village if I don't see them before they see me, and skeletons have bows and long range. Also, spiders are another problem. If you can find ocelots, try to tame and breed them - cats actually scare off creepers. You can set them around your perimeter to keep creepers away. If your wall is tall enough, skeletons can't see and shoot your villagers. If you keep your village entirely lit up, you can keep mobs like spiders from spawning there at night. These are just a few ideas. I am playing Minecraft and I had a village and went mining, but when I came back zombies had filled the village. What should I do? If you haven't placed torches all over the village, start with that - they prevent mobs from spawning at night. Place torches a distance outside of the village to prevent them from spawning close by as well. If you construct a wall or fence around the village, it should keep zombies from wandering in. You can also construct iron golems in a crafting table with four iron ingots (in a T shape) and one carved pumpkin on top. They will fight mobs in the village. How deep do you have to go to find ores in Minecraft? It depends on the ore. For example, iron is commonly found underground from layers 5-54, gold from 5-29, and diamond from 5-12. But I loved the article. 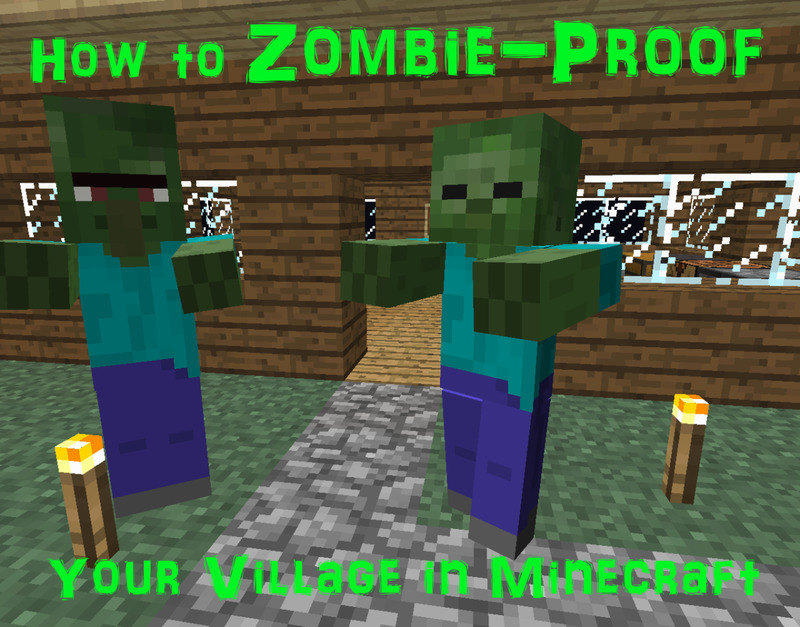 I was writing a book in Minecraft on Zombies and when I came across this article it REALLY helped. ill try one of those things later and im REALLY happy. thanks for the help. @Christian That's good to hear! @Minecraft lover I'm glad it helped you! How do you make villager guards with the wiiU edition? Because I saw that you can make villagers into guards, but it said that it was for MCPE. break the door and didn't even bother to hurt the villager. So then i killed the zombie villagers. @donny Yeah, these ideas were brainstormed from my experience playing, and then tested on one of my old villages. Zombies were a bit of a problem there, so we did everything we could to keep the villagers from being turned! build a village i will use everything you say on your website. your website is really cool thanks!!!!!! @Stuff Thank you - I appreciate the feedback! This is really cool! I never thought about the fence gates in front of doors thing. I'll have to try that. @Dylan No problem! 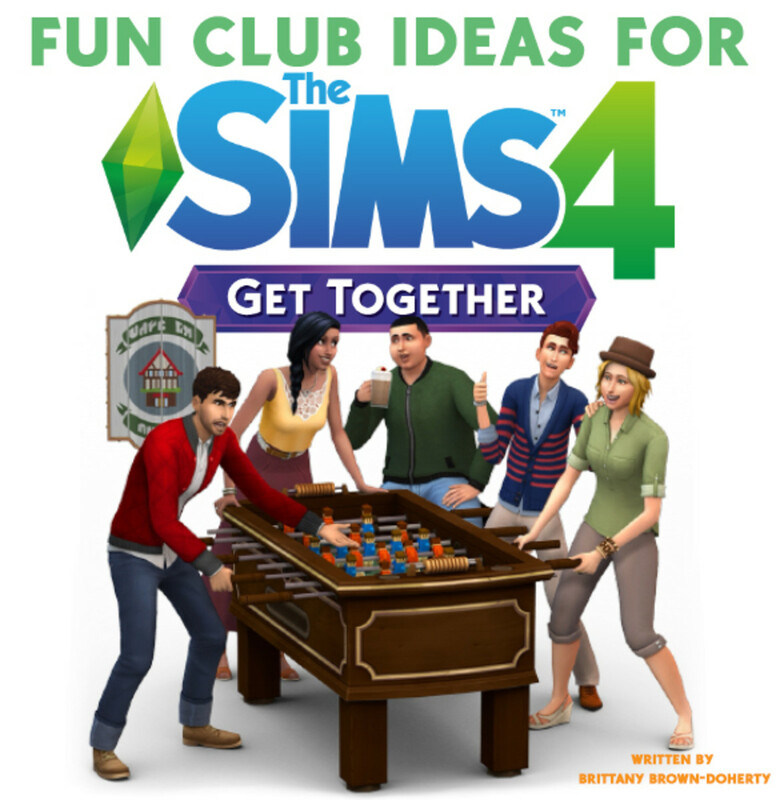 I'm glad this hub could help you out. @xp100 It's been so long I don't recall! The wall itself was hand-built, that much I know. What's the seed for that village with the cobblestone wall around it? @Kittycats I will have to test it and see! I know villagers can open fence gates now no problem, but I haven't seen zombies do it. I'll get back to you. I was thinking about that the other day and wondered if it might be to stop golems wondering off into the sea. @MrAnimalHead That's interesting! I'll have to try it myself. I would have never thought that water would have that effect on them. I put an iron golem in relatively small square of land with a three block wide single block deep ditch around (I don't know if it works with less width) and filled the ditch with water. Even when a spider came really close to the edge of the water, the golem wouldn't cross over to bash it. So maybe it's possible to contain golems with water. @Rena Thank you for the input! I will start the fact checking ASAP. Very true! If zombies knew how to use fence gates. we would be in serious trouble. Why not extend a fence around the entrance that leads to a gate. Baddies still can't get in, it doesn't block the door, and no risk of villagers being zombified with a zombie right next to the door! Wouldn't they still be capable of stepping on top of the block and breaking down the door / turning villagers? I haven't checked this method in a while though, so you could be right. For #3 maybe using a block instead of the traditional stair in front of the door would prevent zombies from getting close enough to turn villagers? Apparently placing the door that high prevents them from reaching the top half of the door, making them unable to break it. And we made that fence before cobblestone fences were a thing - it was super time consuming. 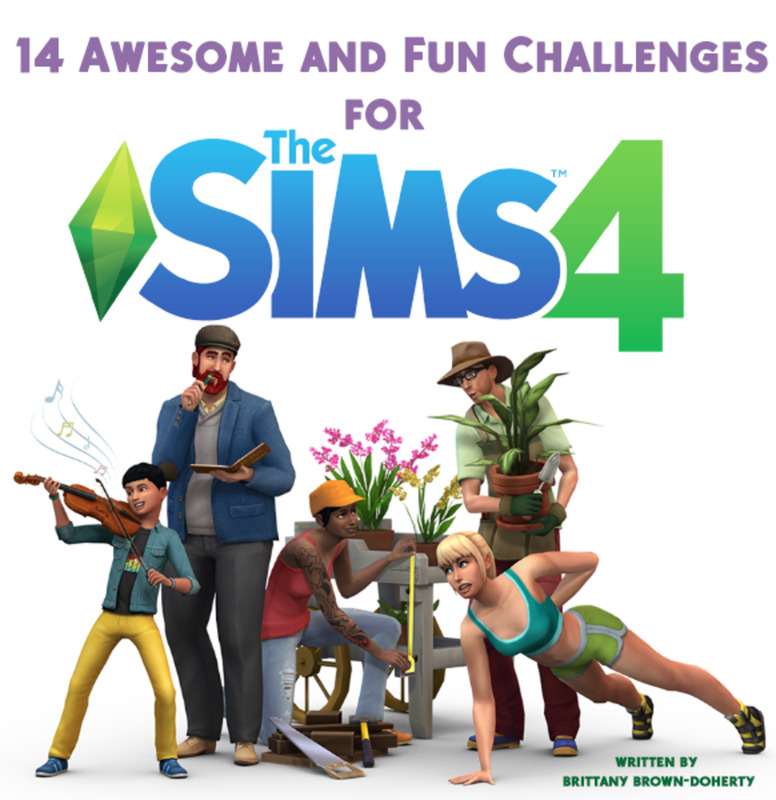 :) Thanks for reading and commenting! I had no idea that zombies couldn't break doors if they were one higher! That changes everything. 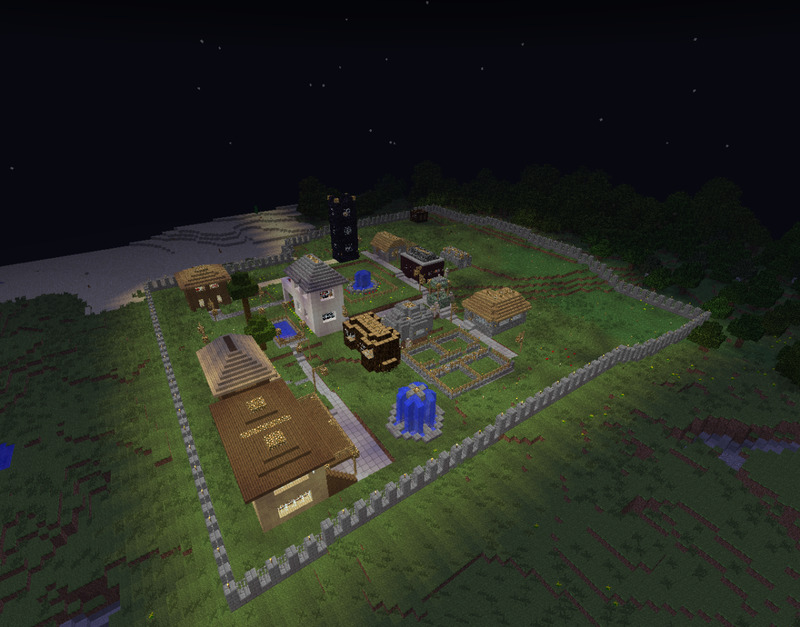 Really impressive fence around your village as well, I wouldn't mess with you with all those iron golems roaming. I hope so! My Minecraft articles seem to catch the most attention, so I'm just rolling with it. And I enjoy playing and writing about it, of course. I know nothing about gaming but I do know something about writing. This is a great niche that will pay off over time. It takes a good year to start seeing the benefits of writing like this, so stick with it and good things will happen. Well done!